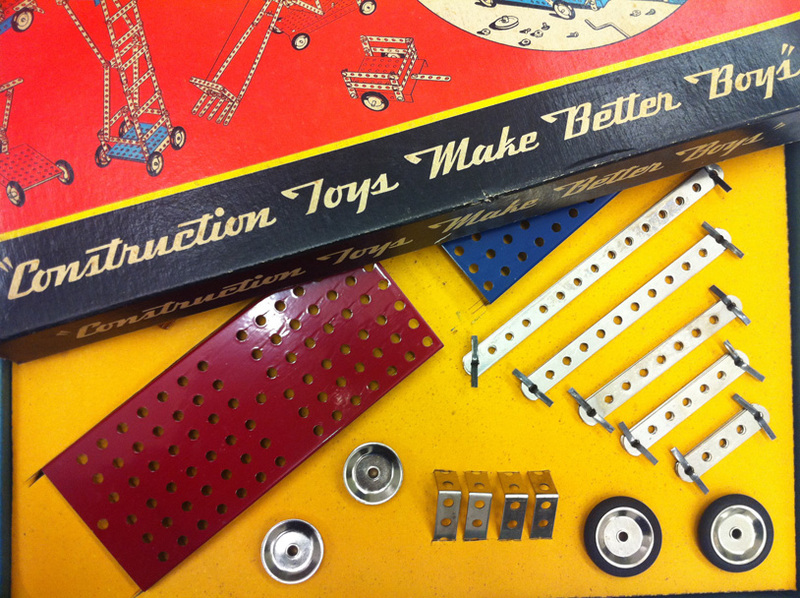 National Building Museum Fellowship Update #1: Construction Toys Make Better Boys? Construction Toys Make Better Boys. And girls, learning, buildings and cities? Every year the National Building Museum (here) in Washington, DC offers one accomplished practitioner or researcher the opportunity to use the full extent of the Museum’s collection to conduct research that furthers the practitioner’s work while expanding the understanding of the collection. I couldn’t be more pleased that since early November I have been that person, examining the thousands of building toys in the Museum’s impressive architectural toy collection. Additionally I have spent my time observing the many ways that expert and non-expert influence one another when building with Legos and reading a myriad of things ranging from building toy kit manuals to military research on pattern recognition, and rapid spatial cognition. Over the course of the past 14 years, ‘making’ has moved from being a traditional representational design tool in my work to being the modus operandi of how I help foster inspiring dialogues, fantastic leaps in learning, vibrant collaboration and design innovation. The materials have been as varied as the end goals, ranging from cake to 2 x 4’s to string, but the results have almost always been transformative: more community participation in design processes, faster learning, greater empowerment, deeper exploration of opportunities, and better design work, all while having a fantastic time. Although most of the toys in the National Building Museum’s collection were considered ‘toys’ by their manufacturers, they are analogous to many of the tools and processes that I have created and been using for the last 14 years to help others achieve great things. Thus this Fellowship represents a unique opportunity to better understand the rich history of these building toys while considering how they might be redeployed in the service of much grander goals. Every week from now through the end of January I will be posting a weekly snippet of some of my Fellowship research. The topics will be as varied as the visitors to the Public Workshop website ranging from education to design to cognitive neuroscience. For example: What are the educational implications of how a manufacturer describes the assembly of their building toy? How can building toys allow us to tap into a person’s intuitive spatial awareness and thereby how can we use toys to facilitate more productive conversations about the design of a building, place or city? Can the military’s pattern recognition and situational awareness training teach us something about how to accelerate design innovation, in this case with Legos? I encourage you to stop by, give feedback and share your thoughts.